You will find the newest products as well as beauty-award winning skincare, body care, sun care, men’s products and fragrance on Clarins.com.hk. You can also find our products at fine department and specialty stores worldwide. To find a CLARINS retail location near you, please visit our store locator. To place an order, click the "add to cart" button next to any product you wish to purchase. When you have added all products you want to order into your cart, click on the "proceed to checkout" button to begin the checkout process. You can also click the “buy now” button next to any product for express checkout. The site will guide you through the necessary steps to gather pertinent information to get your order to you accurately and promptly. If you need assistance with your order, please contact CLARINS customer service at (852) 2994 6238 or customercare.hk@clarins.com from 10am-7pm Monday - Friday (excluding holidays). 03 How many orders can I place on the same day on Clarins.com.hk? 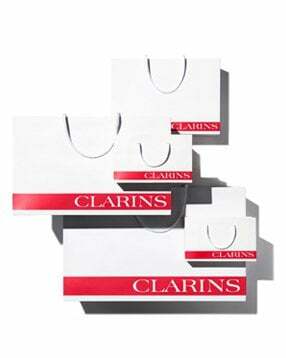 For your protection, a customer may place up to 3 orders on Clarins.com.hk within a 24 hour period. If you have any questions or concerns please contact our customer service center at (852) 2994 6238 from 10am-7pm Monday - Friday (excluding holidays). You may also contact us via email customercare.hk@clarins.com. 04 Do I have to register with Clarins.com.hk to place an order? In/My account area, enter the information required and click OK.
You can change your account preferences at any time by updating your personal data in the My Account section or by simply clicking the "unsubscribe" link at the bottom of any email you receive from us. Visit the Spam section of your email account and search "CLARINS"
A contact phone number is required by most shipping carriers. We will use this information to contact you, if necessary, about your order or to respond to your inquiries. Your billing address will automatically be entered as your delivery address. You can change this address during the checkout process. If you have an account, you can also create, change and save multiple addresses in your address book. PLEASE NOTE: Once an order has been placed, we won't be able to change the delivery address. 14 Can I ship my order outside HK? Clarins.com delivers to major areas except outlying islands, Big Wave Bay, Shek O, Lo Wu, Lok Ma Chau, Cheung Chau, Discovery Bay, Lamma Island, Lantau Island, Ma Wan, Peng Chau, Tai O Island, Siu Ho Wan, Disney, Po Toi Island and Macau. Delivery to international addresses is currently not available. We accept Visa, MasterCard, JCB, Alipay and Paypal. If you have correctly entered all your information and are unable to complete the checkout process, we may need further information. Please call our customer service center at (852) 2994 6238 from 10am-7pm Monday - Friday (excluding holidays).You can also contact us via email customercare.hk@clarins.com. If payment is declined, please contact your bank or credit card company first. Authorization is between our banking provider and your financial institution. If you encounter any further difficulties or have any additional questions, please contact our customer service center at (852) 2994 6238 from 10am-7pm Monday - Friday (excluding holidays). You can also contact us via email customercare.hk@clarins.com. Upon placing your order, Clarins.com.hk will display a confirmation message. You will also receive a summary and receipt via email. If you've registered with us, your order will also be viewable on the site after 24 hours in the My Account area. When you place an online order you will receive an email confirmation with your order number; this is also your receipt. You will receive another email when your order has been shipped. It will include detailed information and your order tracking number. You can track your shipment by clicking on the Track order link. If you have registered online, you can also track the status of your order within the My Account section. 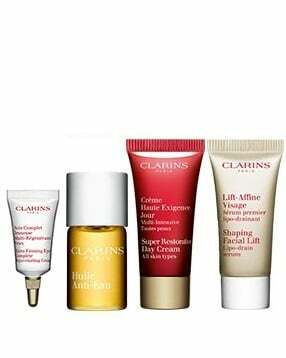 The Customer may also cancel an order placed on the Site by contacting our Customer Services at (852) 2994 6238 from 10am-7pm Monday - Friday (excluding holidays) or via Email customercare.hk@clarins.com.If Customer Service informs the Customer that the order has already been processed, the Customer cannot cancel. In this case, they must refuse reception of the order when it is delivered. If you need to return an order, please review our Returns Policy. Delivery times often vary. If you have any problems or do not receive your order by the date specified, please contact our customer service center at (852) 2994 6238 from 10am-7pm Monday - Friday (excluding holidays). You may also contact us via email customercare.hk@clarins.com. The order I received doesn’t match the one I placed.We are happy to rectify any errors. Please contact our customer service center at (852) 2994 6238 from 10am-7pm Monday - Friday (excluding holidays). You may also contact us via email customercare.hk@clarins.com. Products purchased on Clarins.com.hk can be returned within 14 days of the original ship date. Please fill out the return form and follow the instructions outlined in the How to Return Your Order. b) the delivery charges incurred in delivering the products to you (where only part of an order is returned to us, we may reduce the amount of the delivery charge we refund you to account for the delivery costs of those items sent to you and not returned); and provided you first return the products in your order to us in the condition in which you received them. If you fail to return such products to us, we may not proceed refund. To obtain a refund or exchange of the products to us, please return products within fourteen (14) business days as of the delivery date or, where applicable, the discovery of the defect. 29 I returned a product/an order but I haven't heard anything. Returns take 1 to 2 weeks to process. If several weeks have passed since your return, and you have not received a replacement or refund, please contact our customer service center at (852) 2994 6238 from 10am-7pm Monday - Friday (excluding holidays). You may also contact us via email customercare.hk@clarins.com. A refund will be issued to the credit or debit card used to place the initial order. You will be refunded the cost of the returned product(s) and when the return is received and processed. Shipping costs are non-refundable. 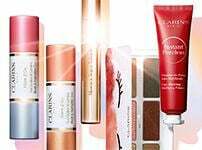 However, the exact amount of Club Clarins Dollars earned in the transaction will be withdrawn and coupon used in the purchase will not be refund or re-issued. Please refer to our Return policy for additional information. All CLARINS products contain natural botanicals and other gentle ingredients. You can learn more by reviewing the ingredients section found within each product page on the site or by accessing the Why CLARINS section. Clarins.com has the widest selection of products, but we are also available at the following authorized major counters: Lanecrawford, Sogo, Harvey Nichols, Langham Place, Wing On, Citistore, YATA and New Yaohan. Protect yourself and those you care about by buying only authentic CLARINS products from authorized retailers. If you are not sure if a retailer/counter is authorized, please contact us. Please note, if you have questions about stock/product availability or customer service outside of Clarins.com.hk, you must contact that specific retailer. 36 My question isn't listed. If you still can’t find an answer to your question, please contact our customer service center at (852) 2994 6238 from 10am-7pm Monday - Friday (excluding holidays). You may also contact us via email customercare.hk@clarins.com.